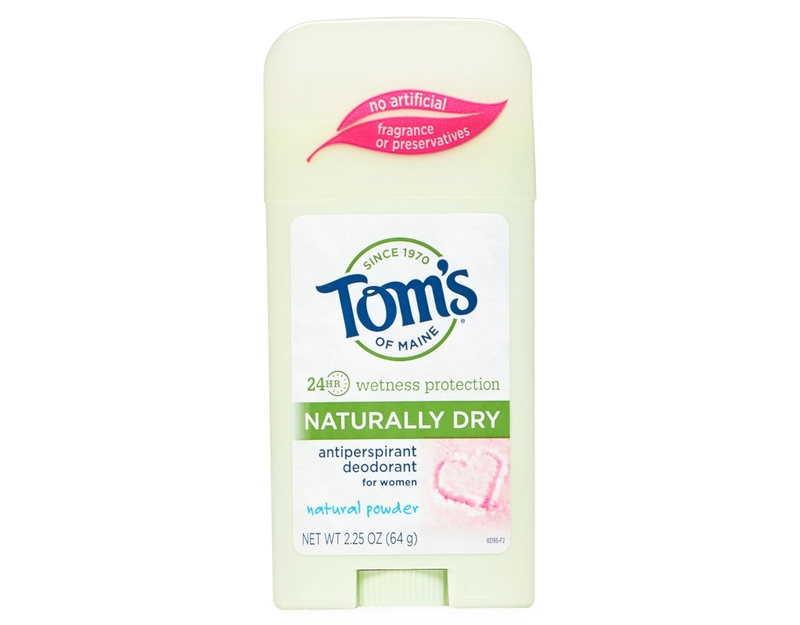 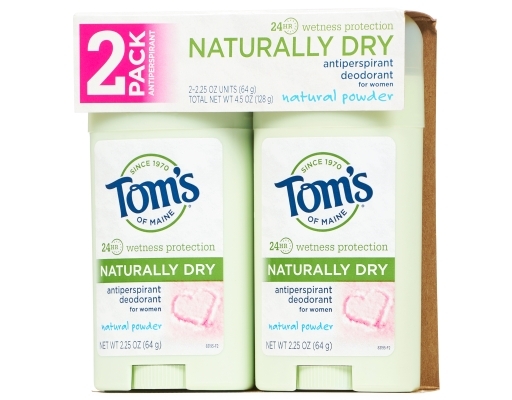 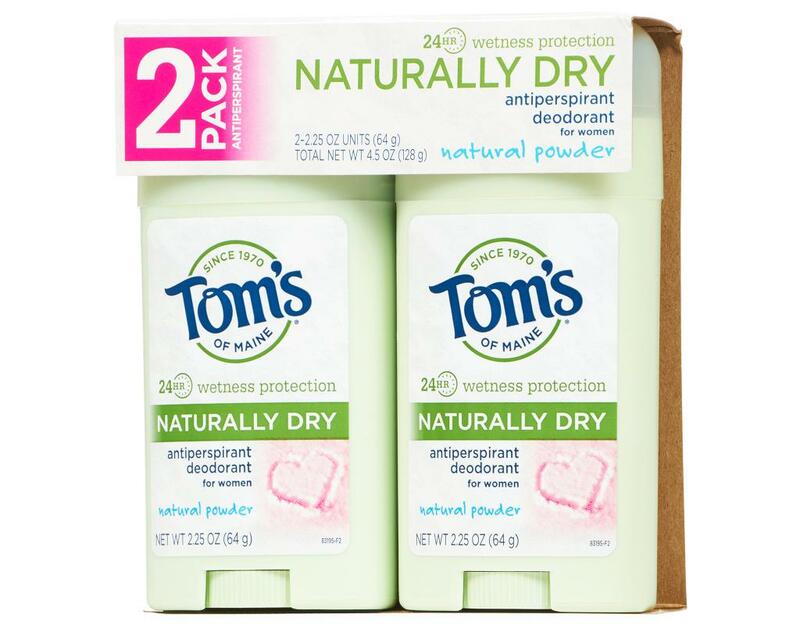 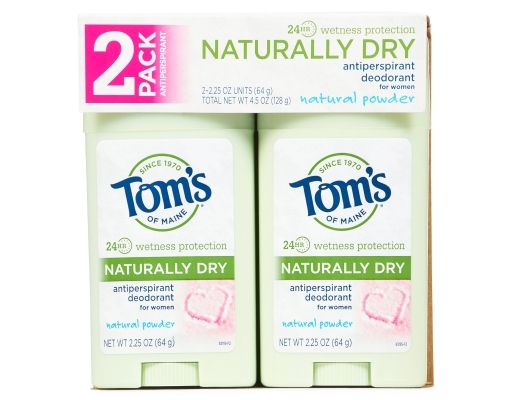 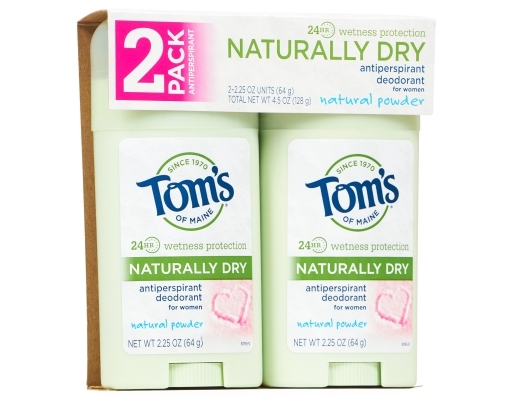 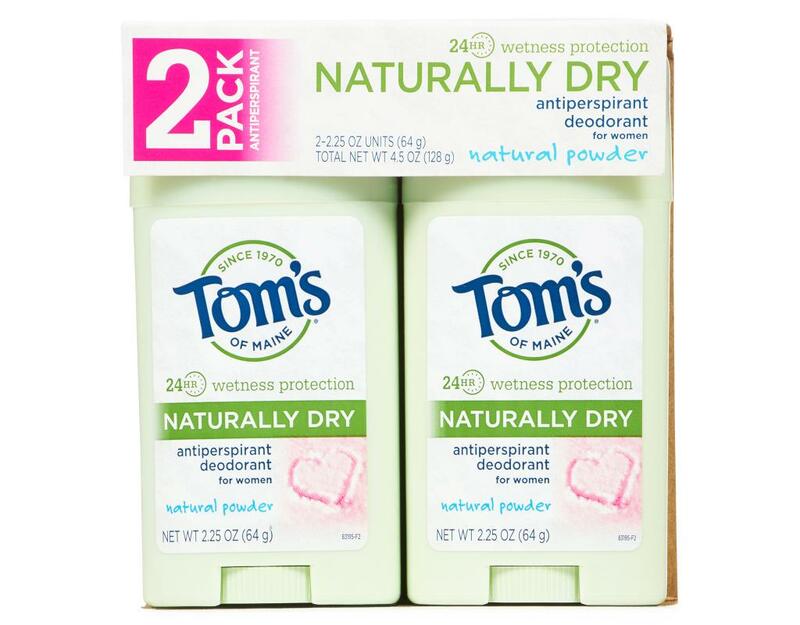 Tom’s of Maine Naturally Dry antiperspirant sticks provide clinically proven 24-hour wetness and odor protection made entirely from ingredients derived from plants and minerals that meet the Tom's of Maine stewardship model for safe, effective and natural. 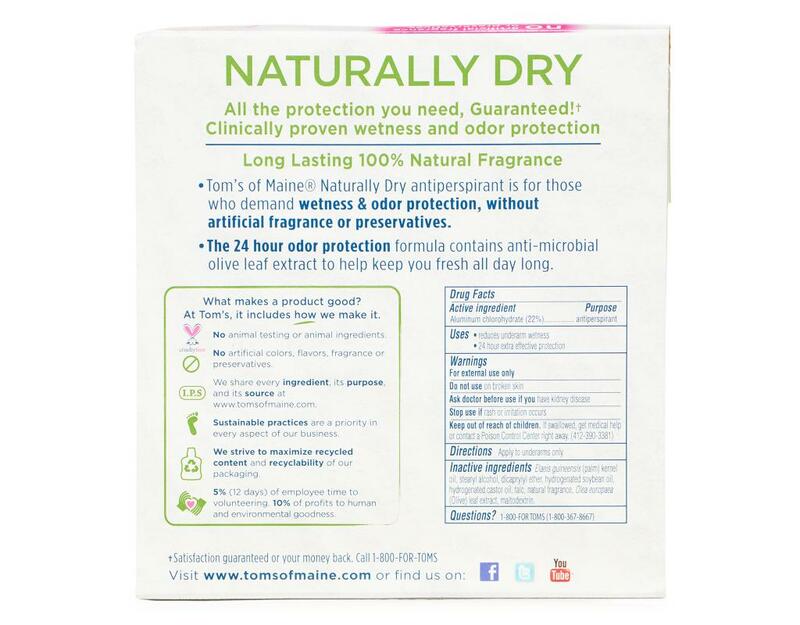 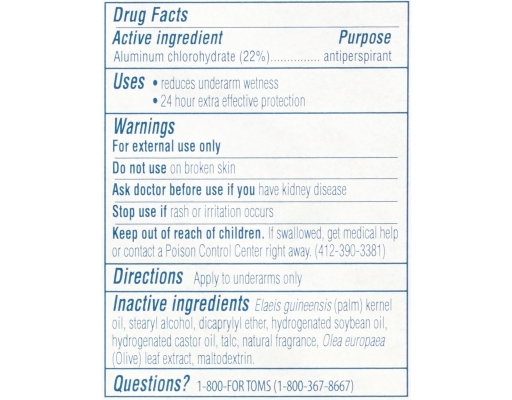 Naturally Dry AP contains a wetness protection ingredient made from recycled aluminum (which was originally derived from natural mineral bauxite ore). 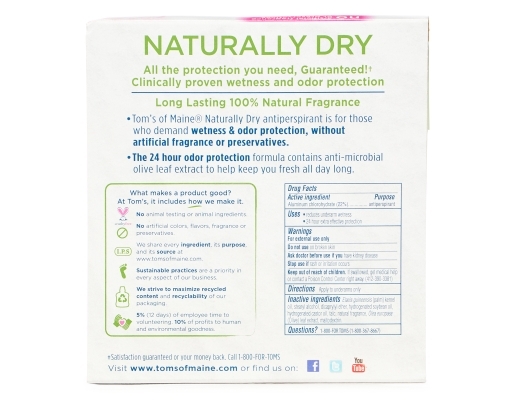 The product also contains anti-microbial olive leaf extract, 100% natural fragrance and is free of artificial preservatives and animal ingredients.